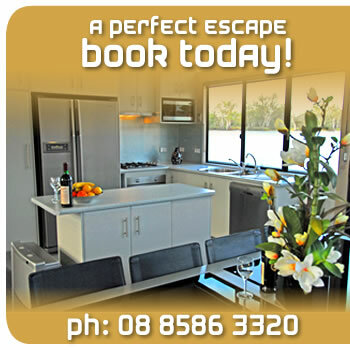 Houseboat Escape is a spacious 4 bedroom vessel, architecturally designed and custom built by meticulous owners. Moored at the historic riverport of Renmark, gateway to the River Murray's secluded National Parks. This magnificent wilderness location offers consistant water levels, bountiful fishing spots and pristine sandbars. Meander past magnificent sandstone cliffs, historic old homesteads and enjoy breathtaking wetlands teeming with birdlife. Escape amongst secluded backwaters and lagoons and indulge in the natural wilderness. Houseboat Escape is proudly owned, maintained and managed by Wendy & Nick. They have over 25 years experience in the houseboat industry and offer one way hires and discounts for extended cruising.